You only have one chance to wow your customers. What will you do to make sure they are engaged? Your UX design is all about retention, having the correct functions in the correct place, paired with a design that will appeal to your target audience is as important as having a working back-end. Our custom designs offer an alluring and straightforward path to learning more about your company and engages your customers to convert. 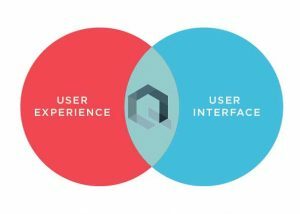 Keys to UI and UX success come from understanding all areas of your business, from sales models, user experience and customer type. We drive higher user adoption rates, easier on-boarding and increased conversion by taking the needed steps to place and prepare your UX. We take all elements into account and conduct in-depth research to craft the design that delivers immediate ROI for your business. Ensure your Customers can Interact with your BUSINESS! QOR Development has an experienced team of dedicated UX/UI experts with over 7 years of experience in building ready to market applications. We apply best practices, research and experience to analyze your business, target audience, market and competitors to prioritize user goals. Your solution starts with us learning about your business. The more we understand about your business the more we can help! Qordev is a custom software and business analytics company headquartered in Las Vegas, NV. Our teams primary focus is to help companies exceed their technology and Internet Marketing goals. We offer support to early stage startups, established businesses and entrepreneurs to help build strong technology ecosystems focused on their specific industry challenges. Learn more about how QORDEV can help your business today!